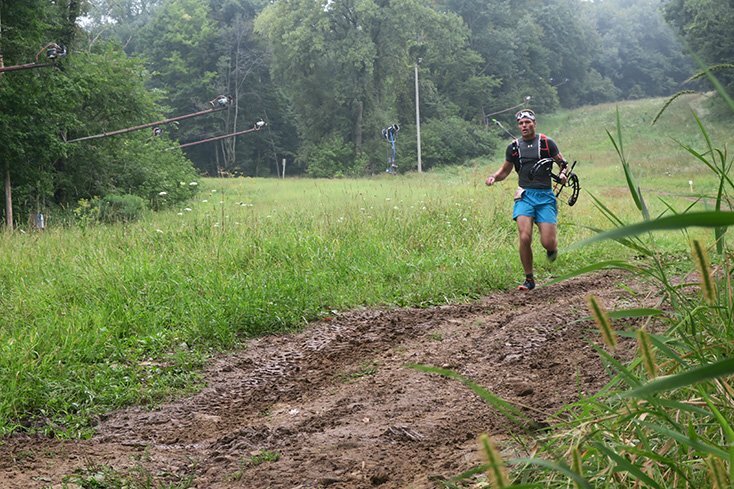 Do you remember as a child being told not to run with sharp objects in your hand? 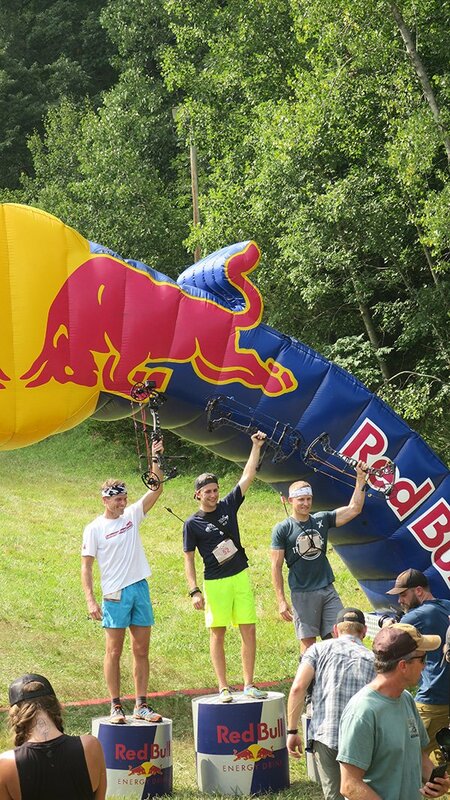 Well that all goes out the window at the Red Bull Archery Competition known as the Red Bull Paradox. 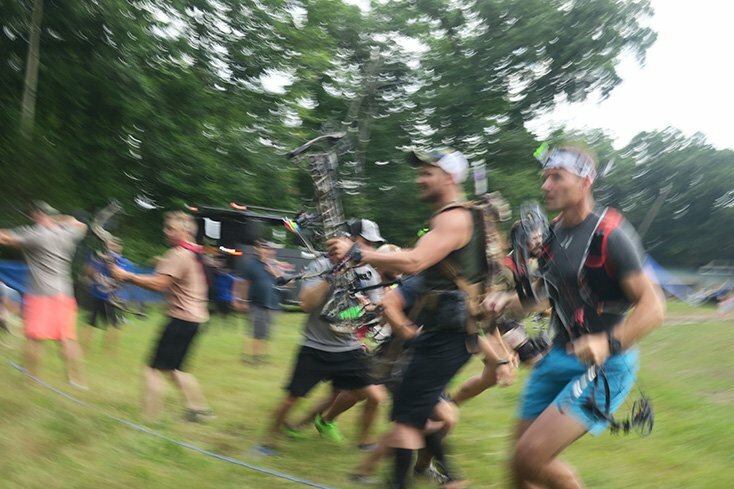 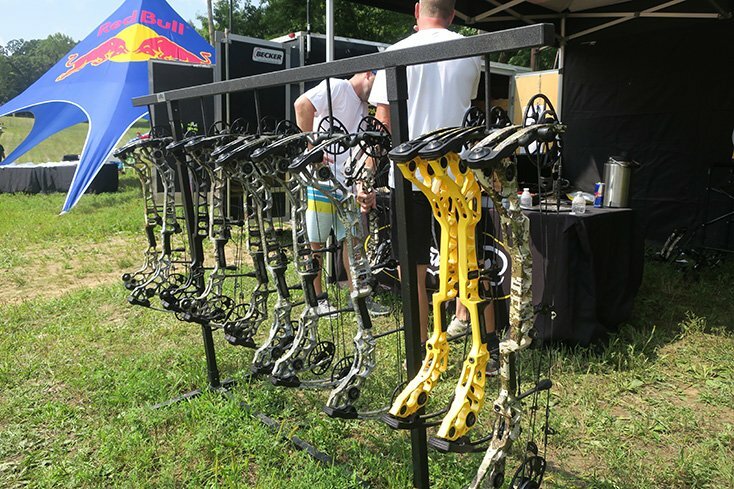 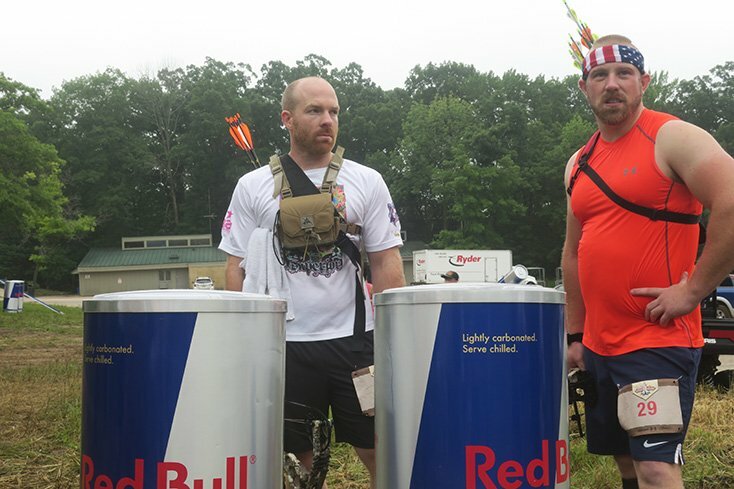 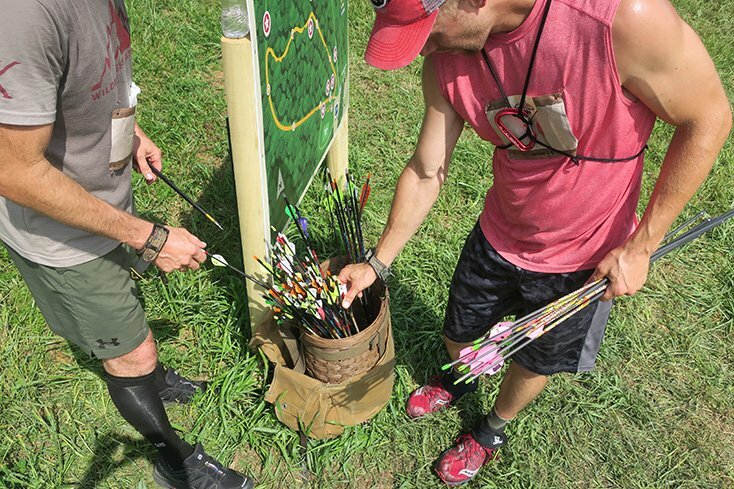 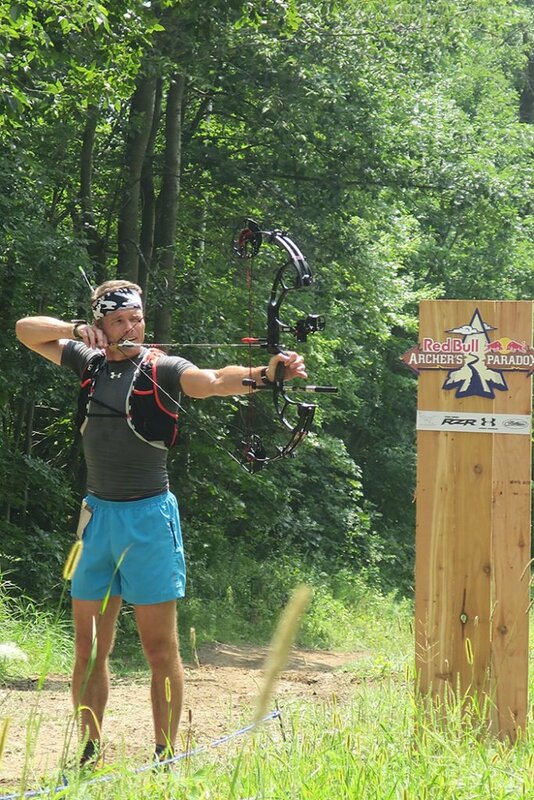 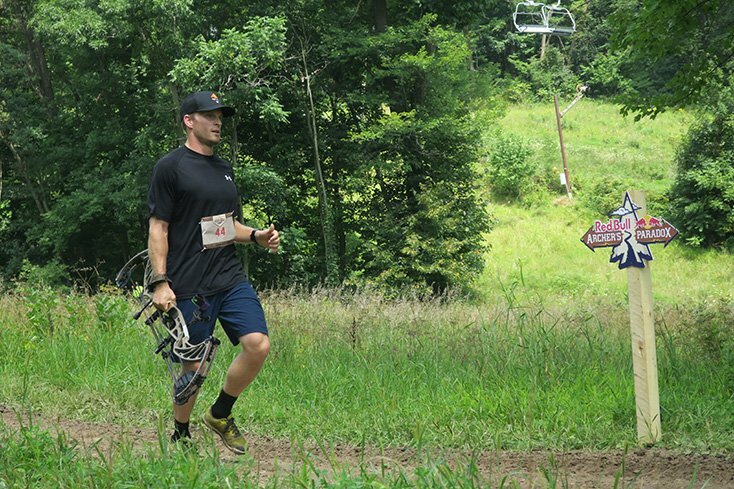 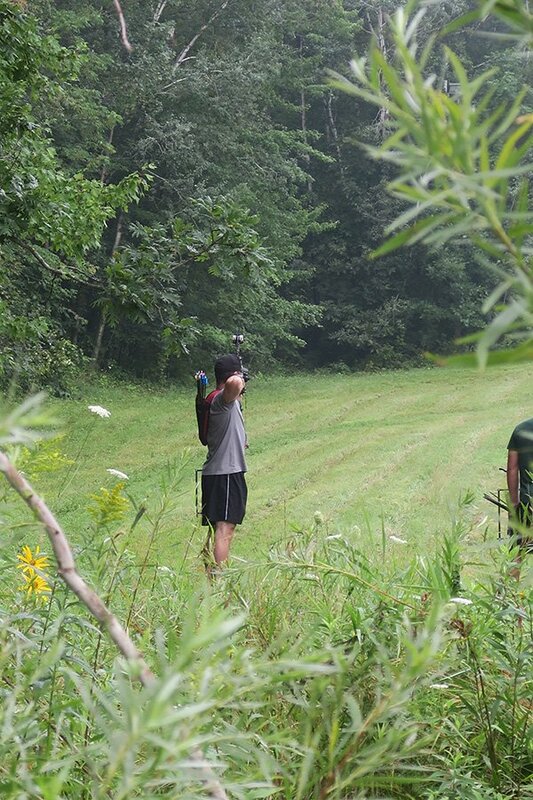 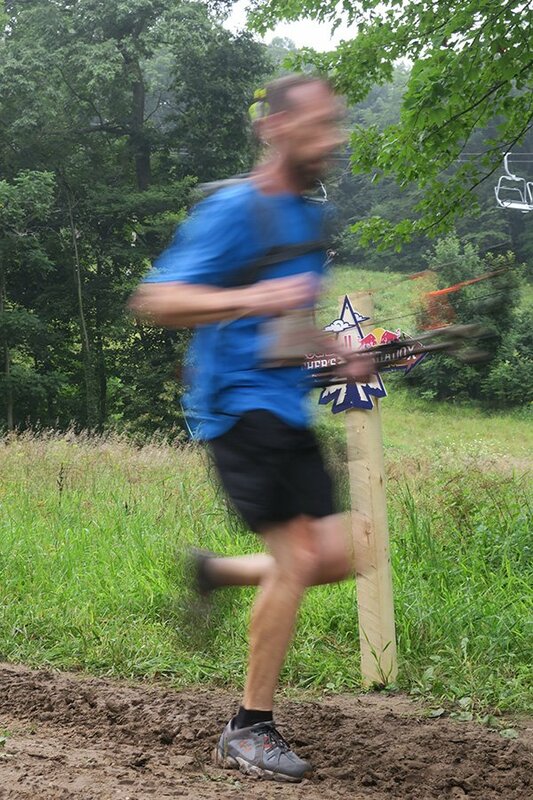 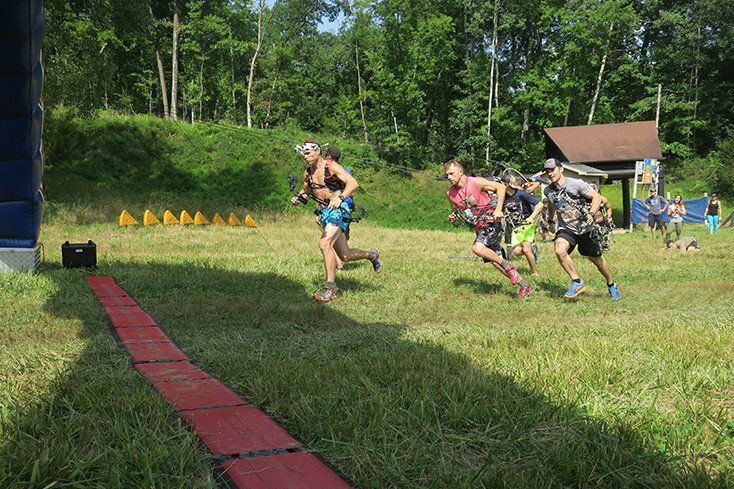 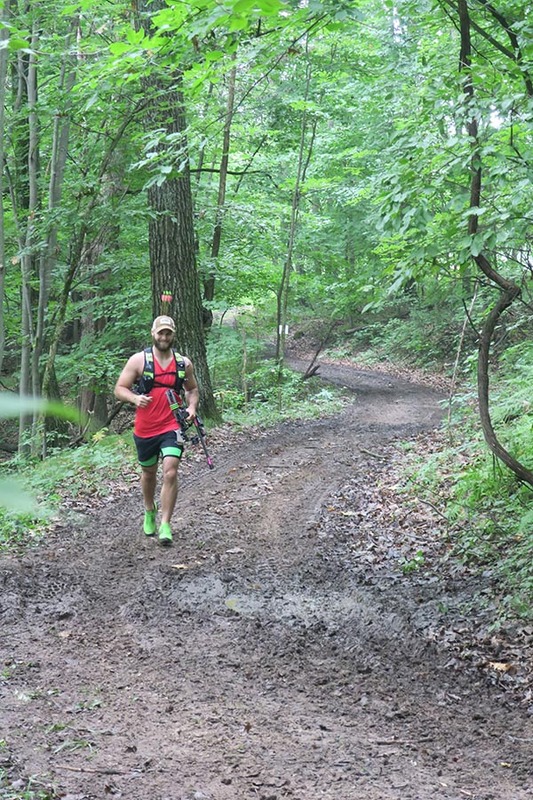 The Red Bull Archer’s Paradox is an archery competition meets trail running race. 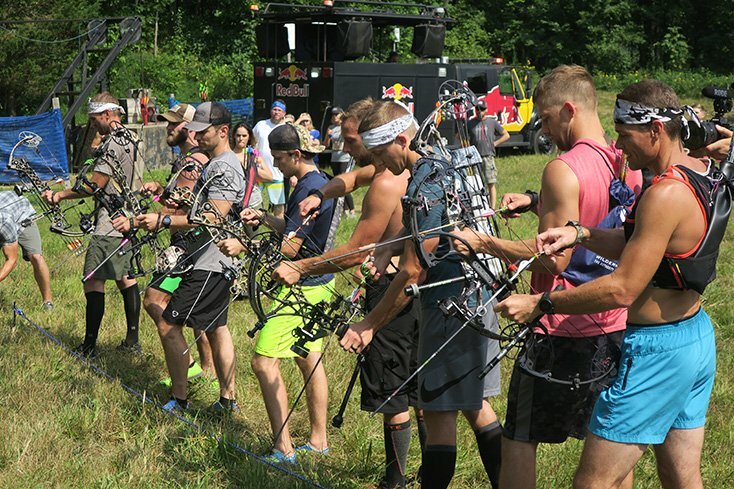 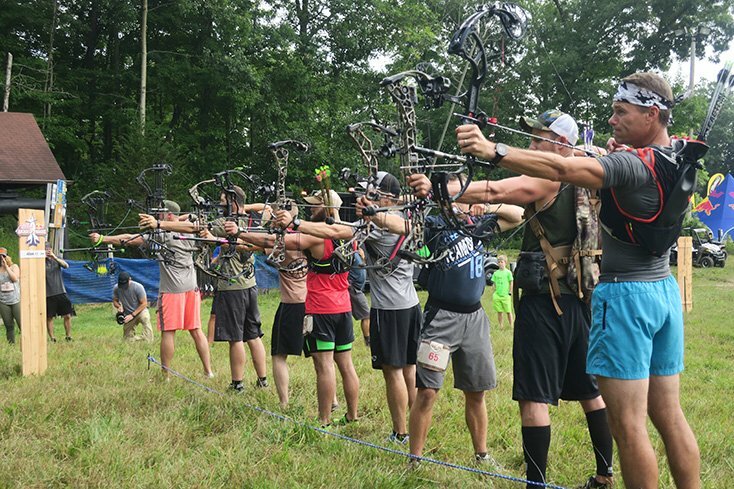 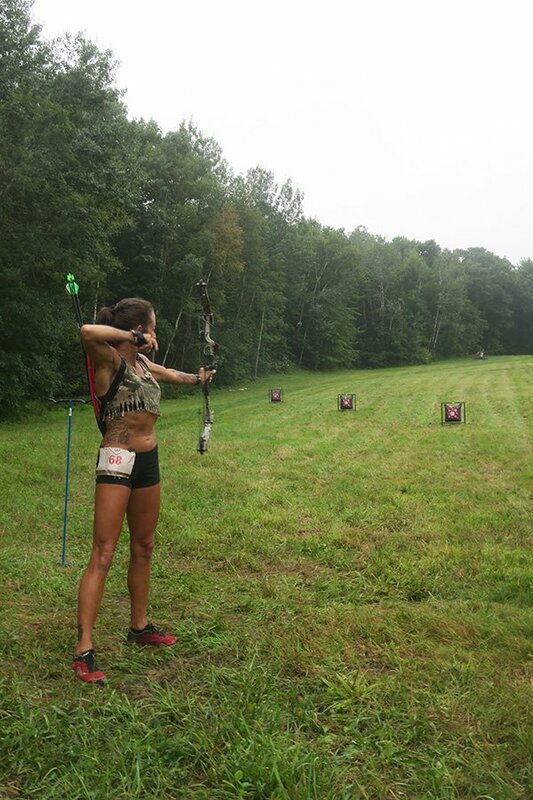 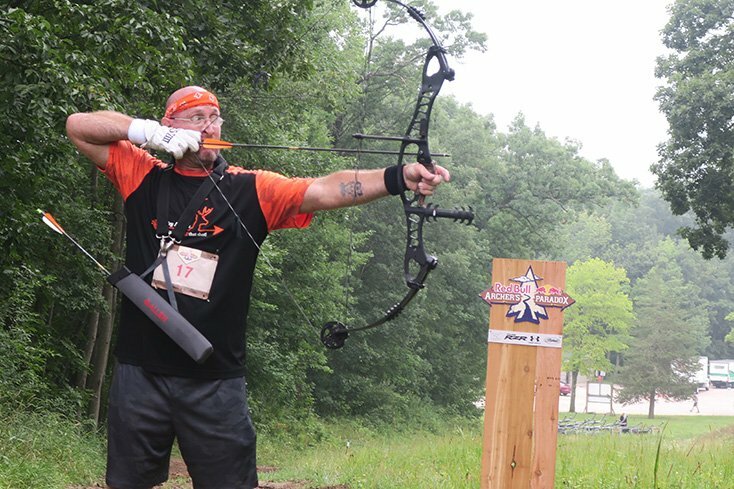 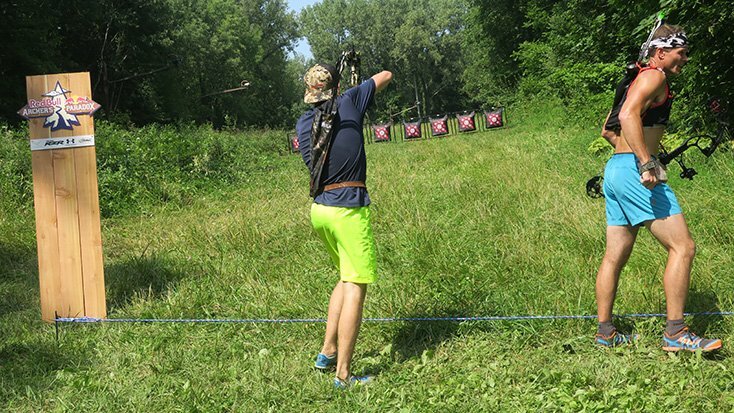 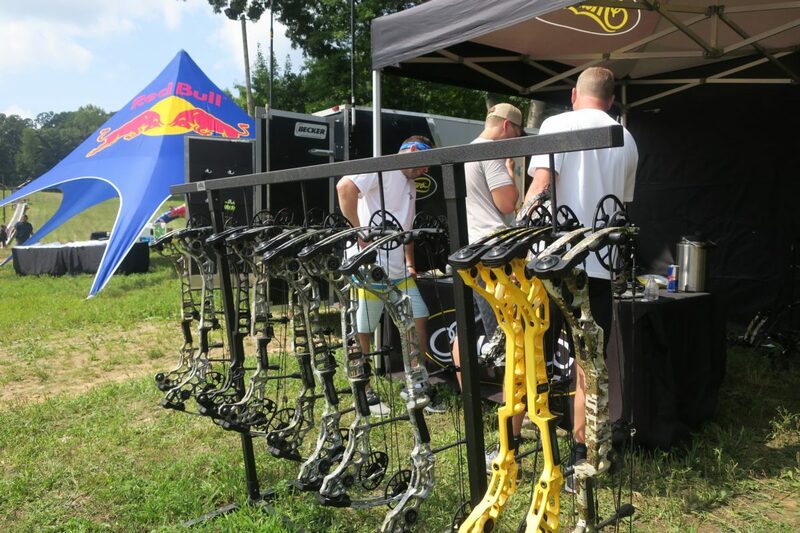 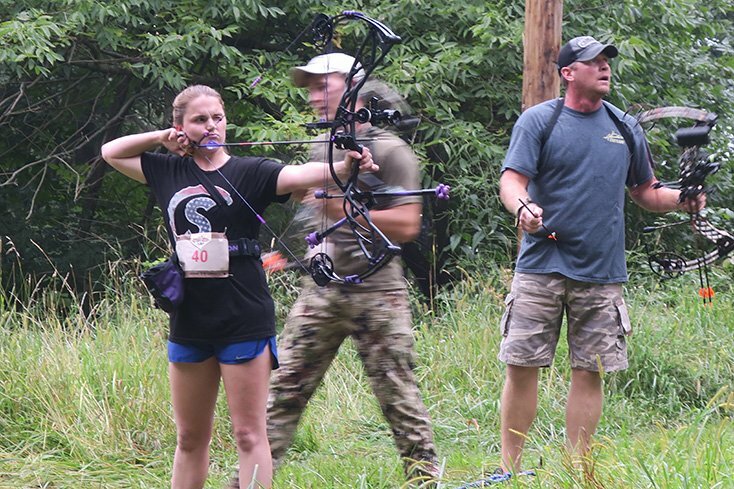 For 2018 the Red Bull Archer’s Paradox took place at Devil’s Head Resort located a short drive from Madison, Wisconsin featuring over 80 competitors mostly residing in the Midwest. 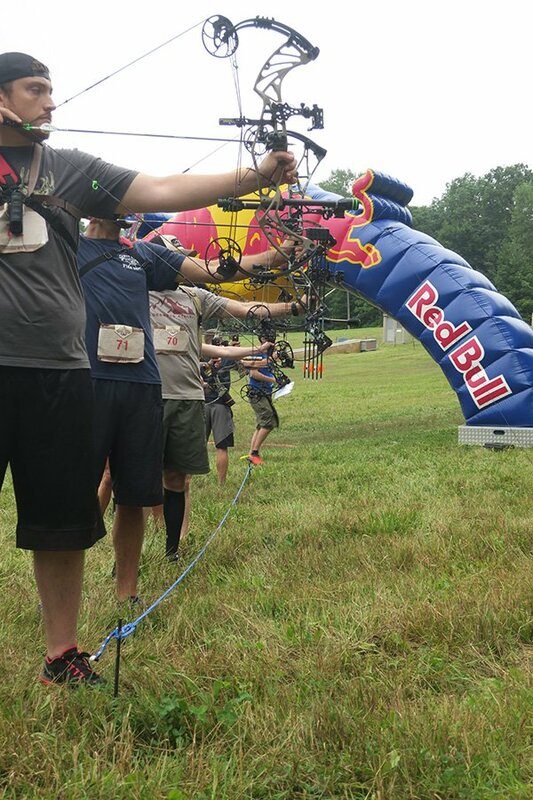 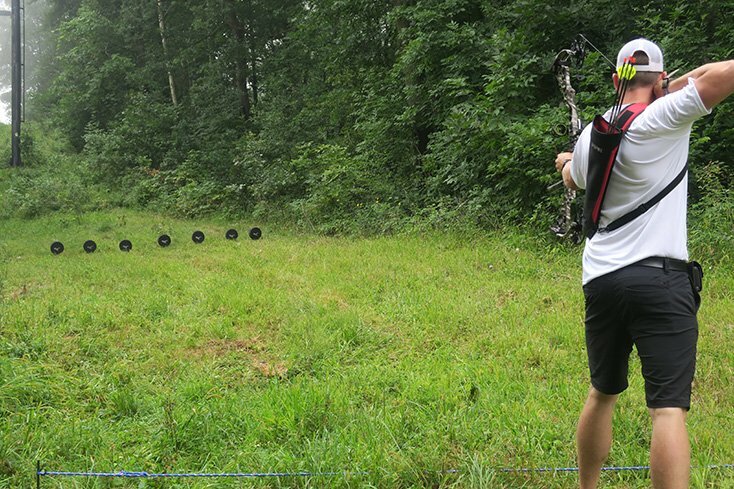 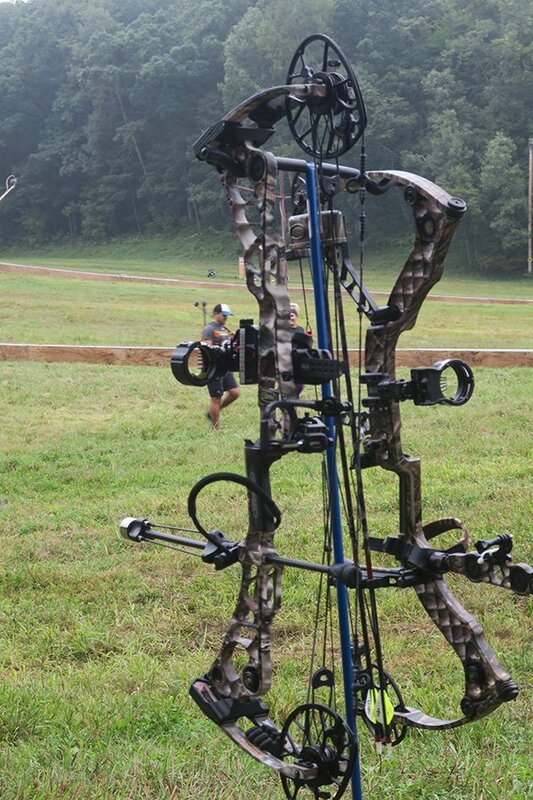 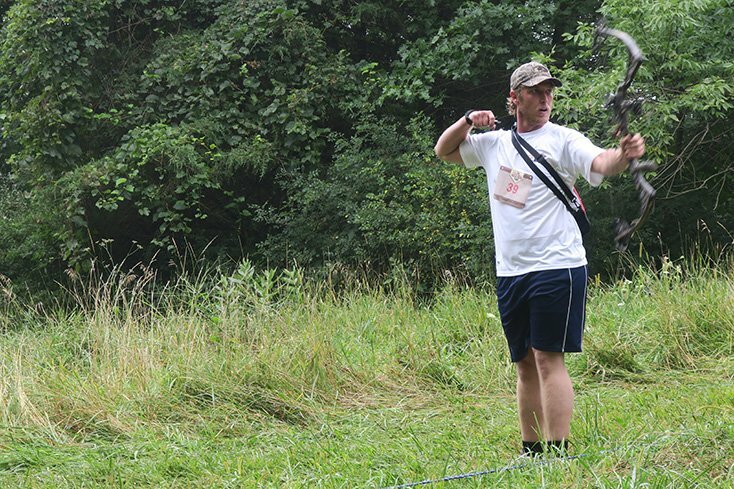 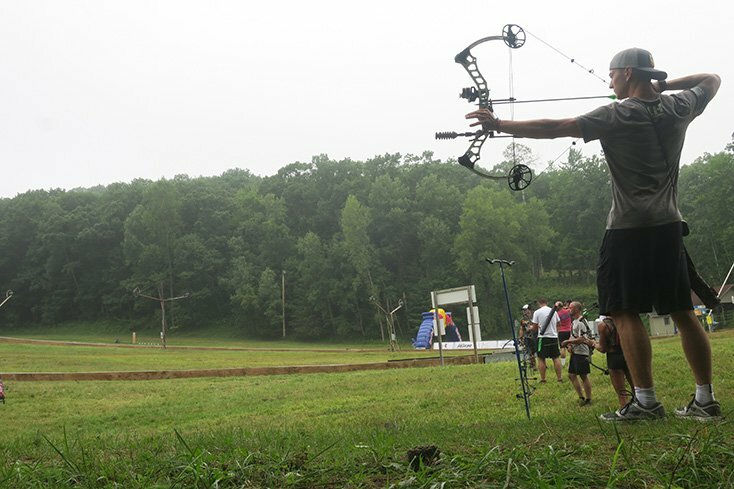 To do well in a competition like the Red Bull Archer’s Paradox competitors need to have a sharp eye and agile feet. 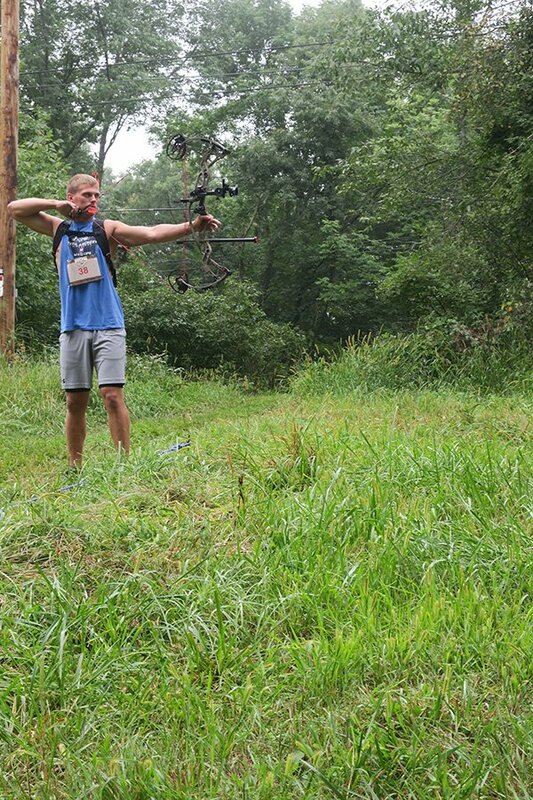 Being a straight shot alone won’t cut it. 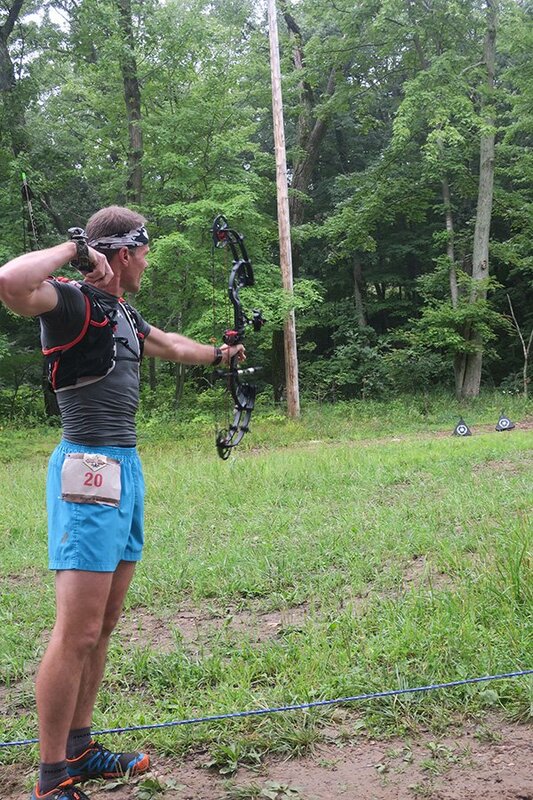 Same can be said for being a strong runner as the Archer’s Paradox demands skills in both disciplines. 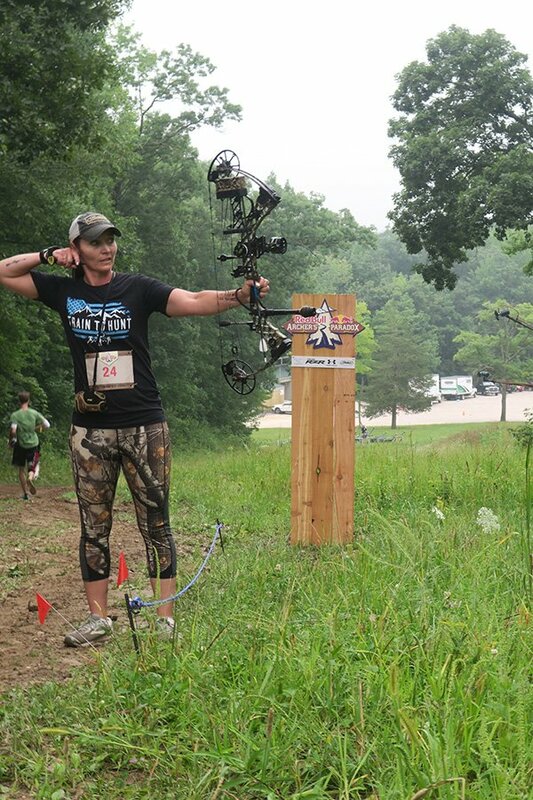 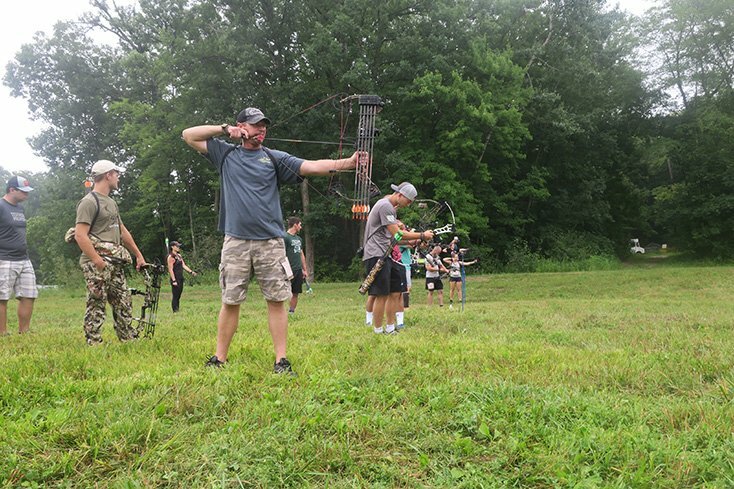 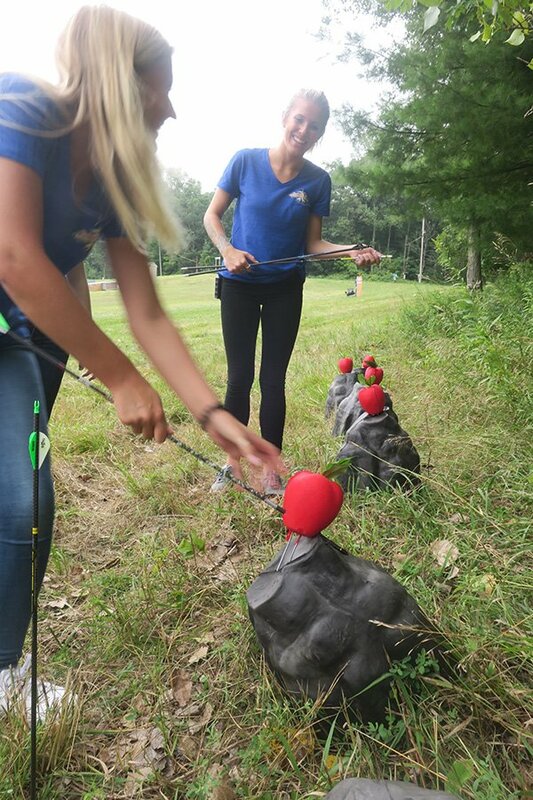 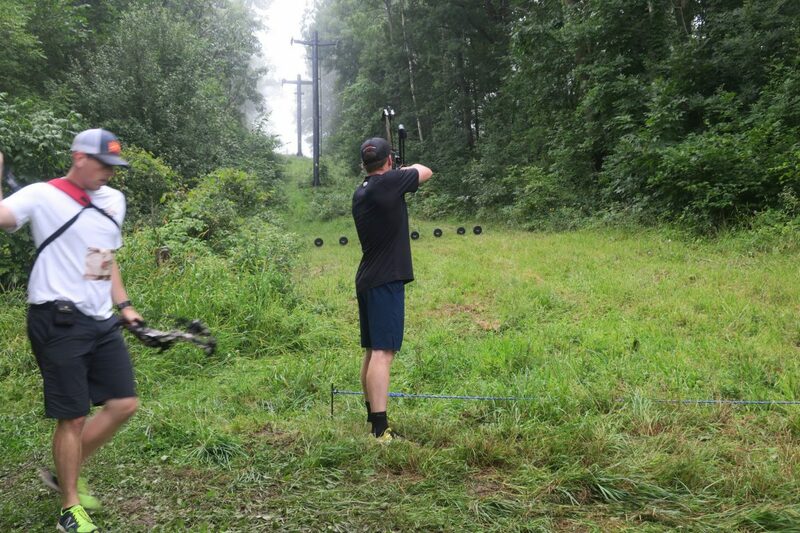 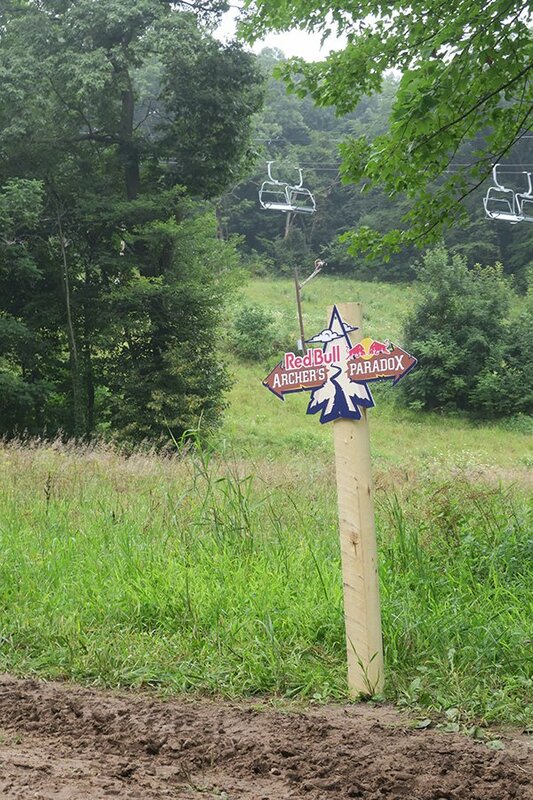 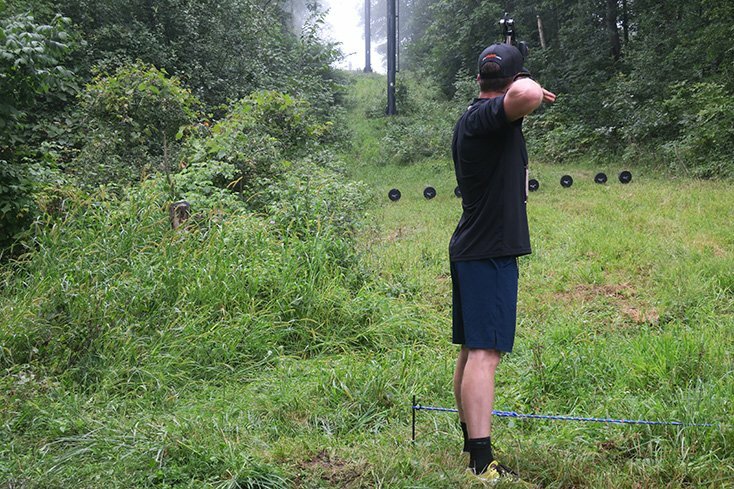 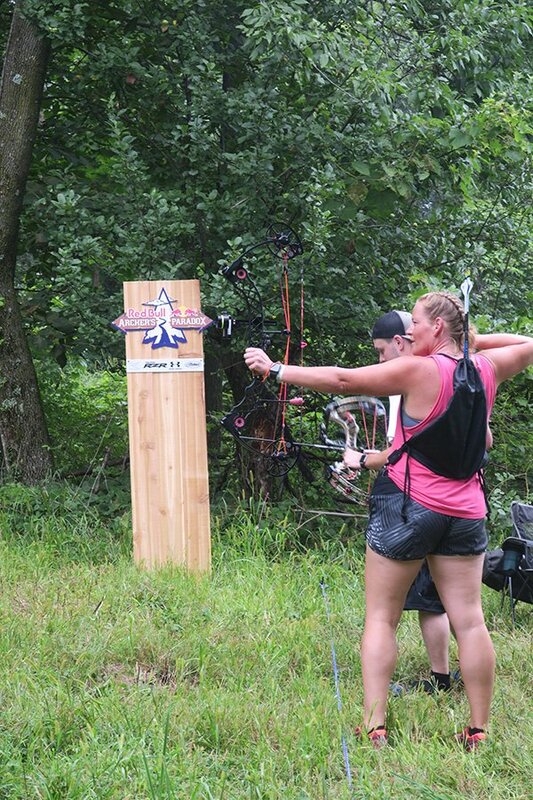 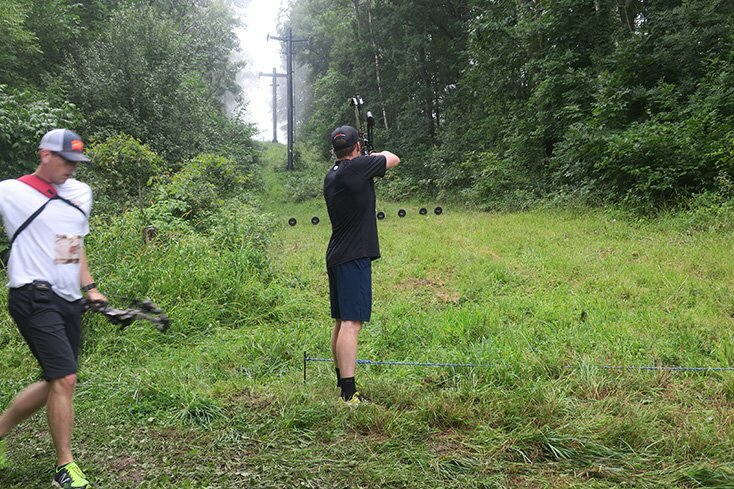 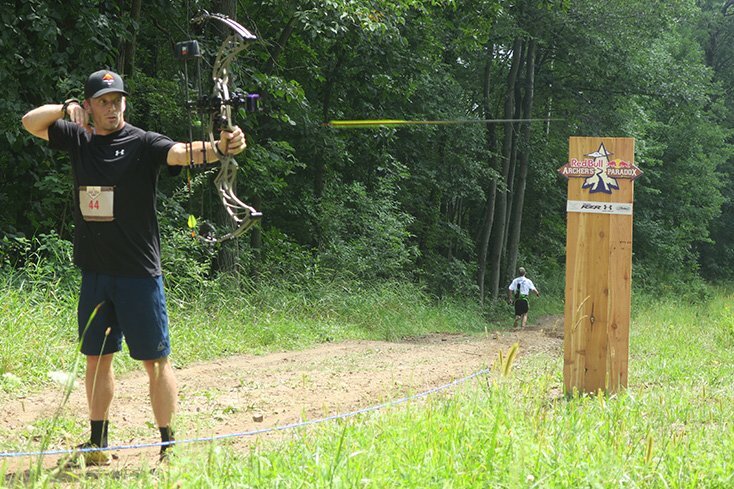 For 2018 there were a total of 8 archery stations for the Red Bull bow challenge scattered across the ski hill with a 1-mile trail run connecting each. 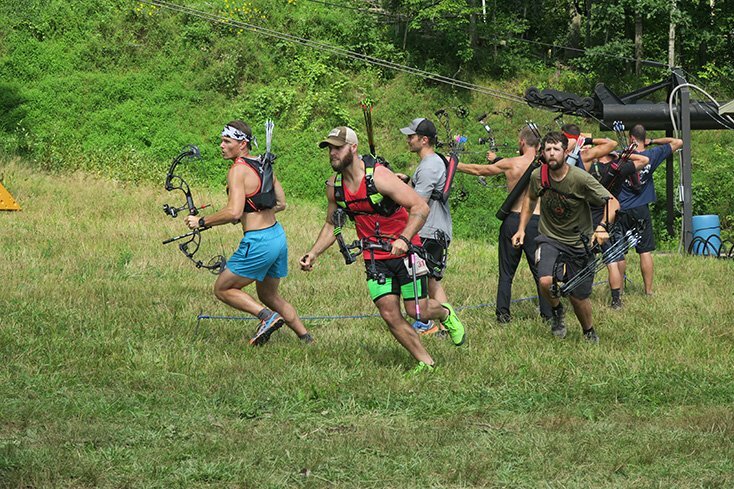 Groups of 8 competitors took off at the same time from station 1 which proved to be the hardest target right off the bat. 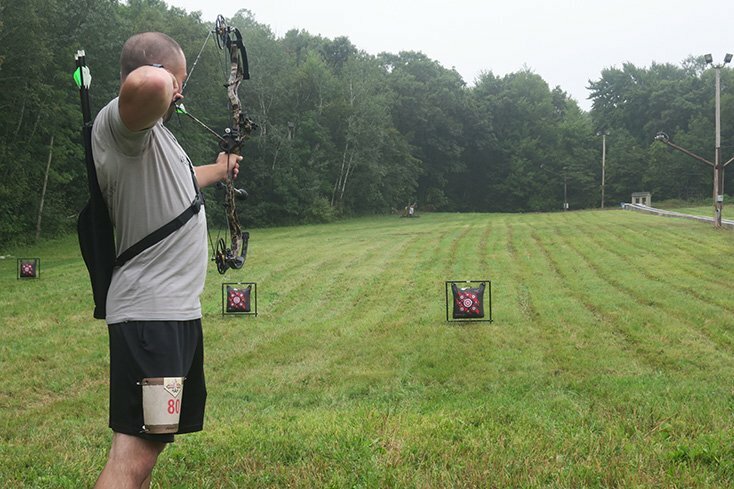 Can you put an arrow through an apple from 10 yards out? 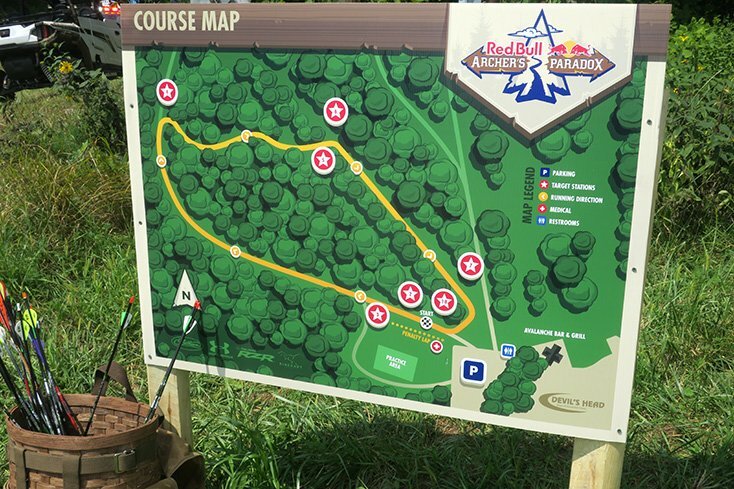 The 1-mile course for 2018 was the same length as the 2016 Red Bull Archer’s Paradox, however, there was one major change. 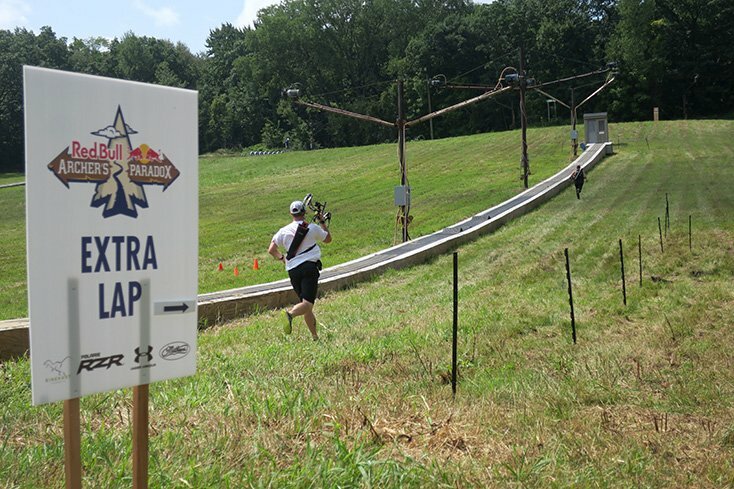 Competitors had to run up Devils Ridge Ski Area. 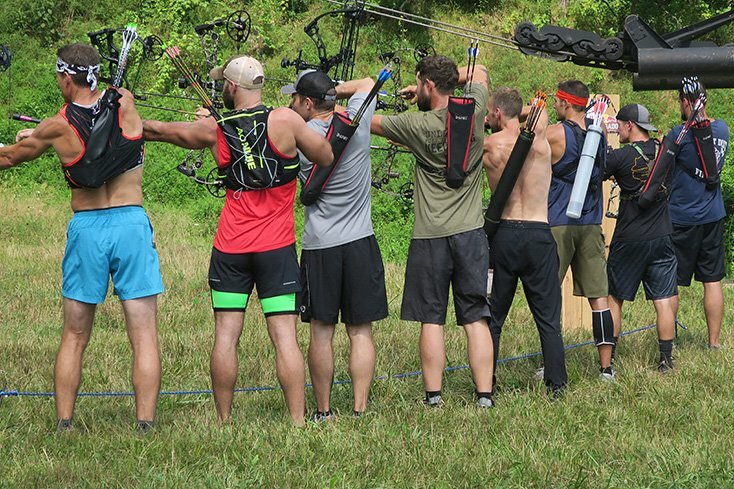 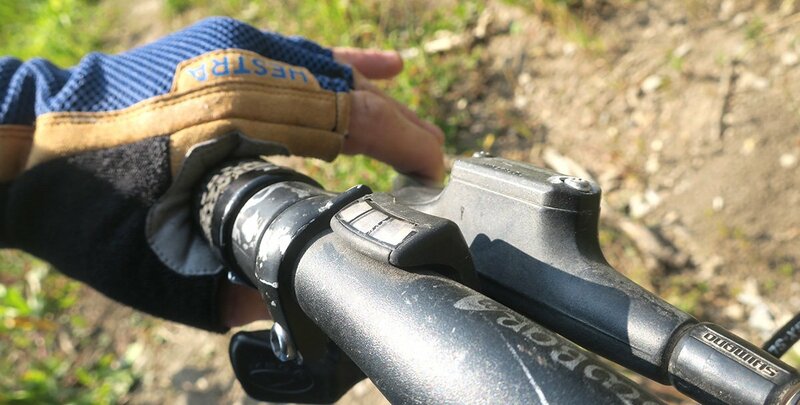 Competitors that were able to slow themselves down by taking a few extra seconds to sight in their targets, and get a couple of deep breaths before firing did best. 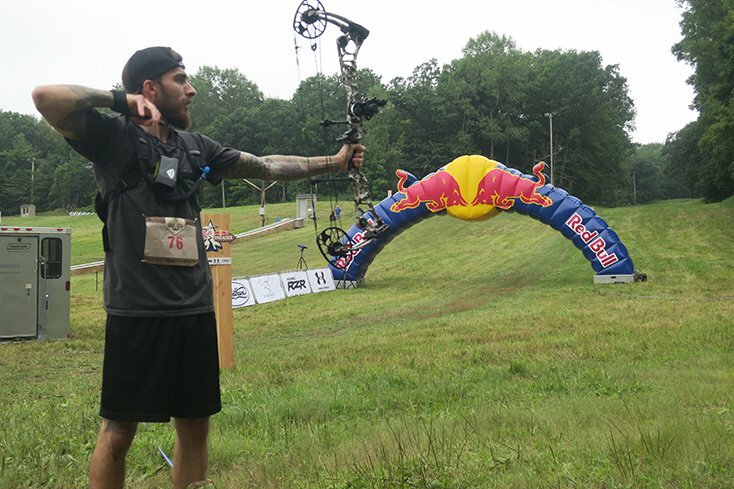 Since the Red Bull Archer’s Paradox is an archery competition if a competitor missed their shot a 200-yard penalty lap was tacked on at the end of the course. 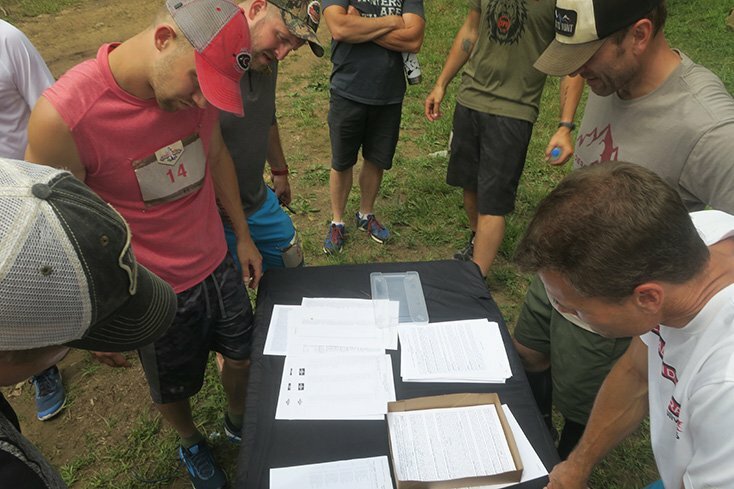 This kept the playing field even, as you truly had to be strong at both sports to make it to the final rounds. 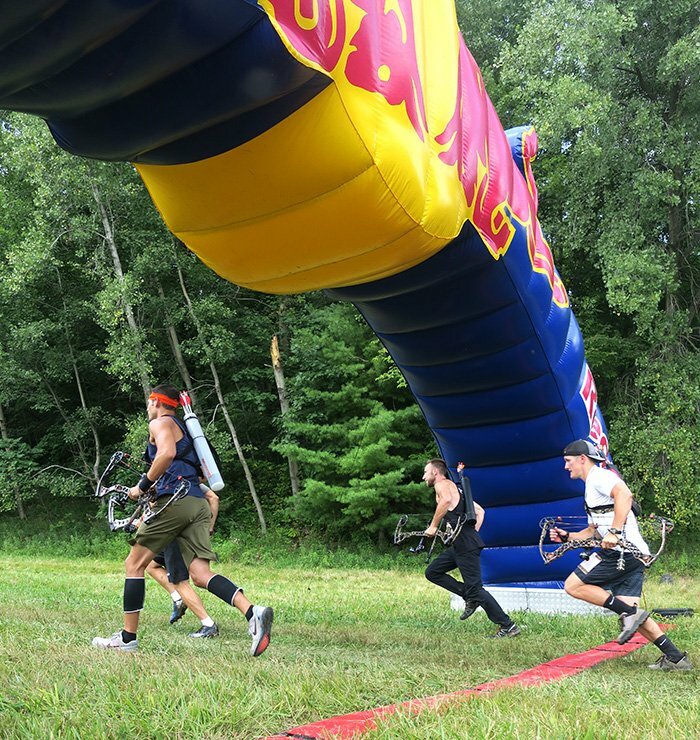 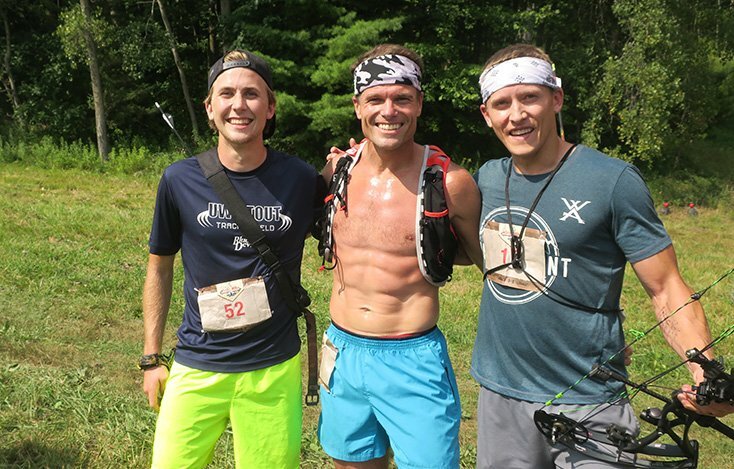 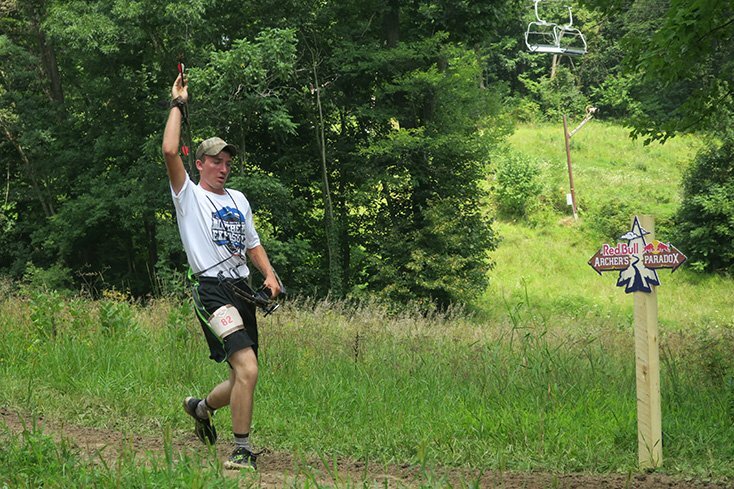 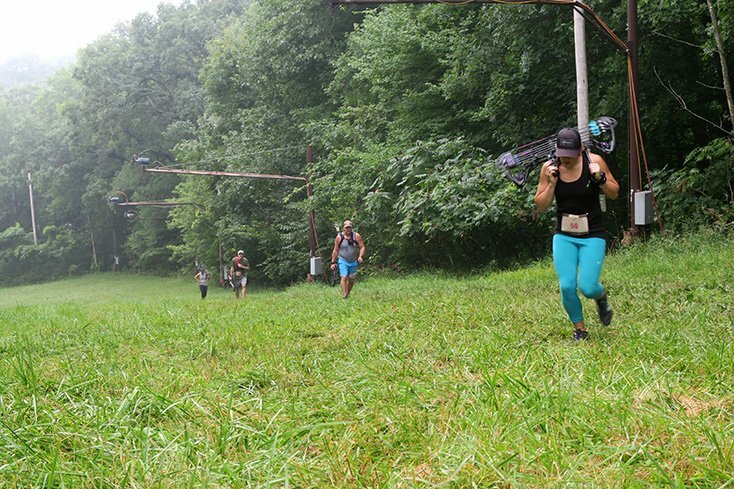 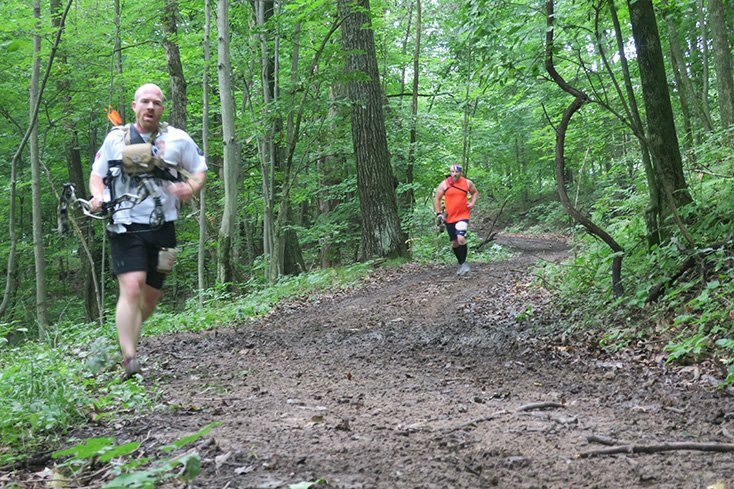 By the time the finals rolled around, the 8 remaining Paradox competitors had already run over 3 miles up and down the Devils Ridge Ski Area. 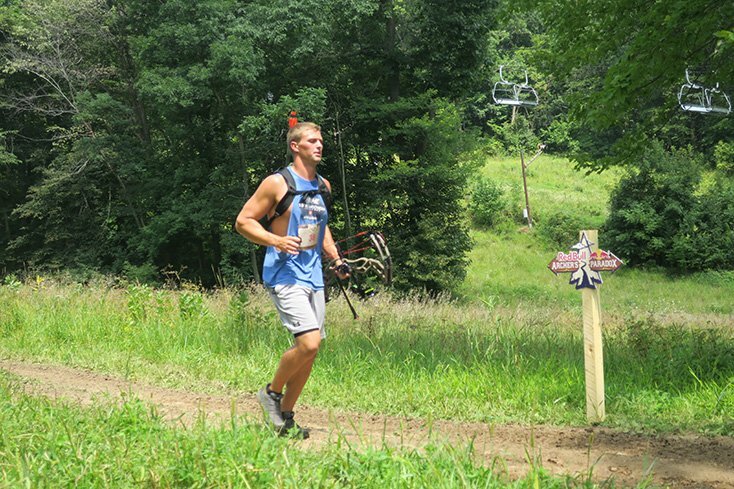 Devin Sauvola, shown above put down the fastest times throughout the event and got quicker as the day progressed. 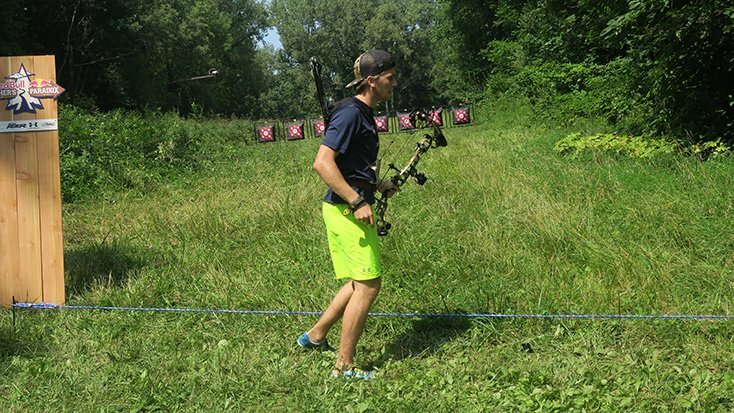 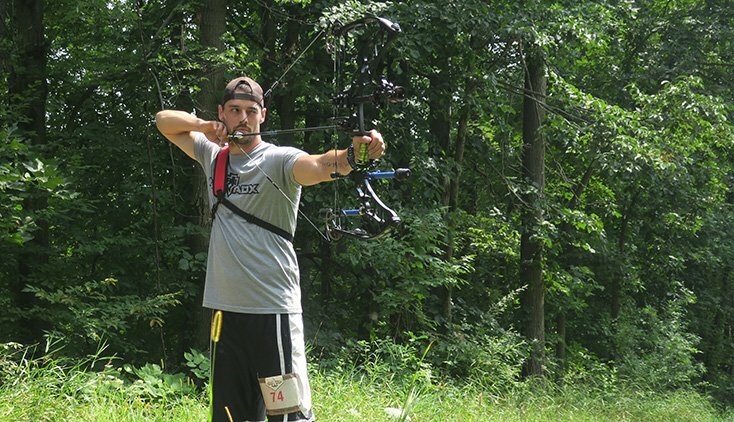 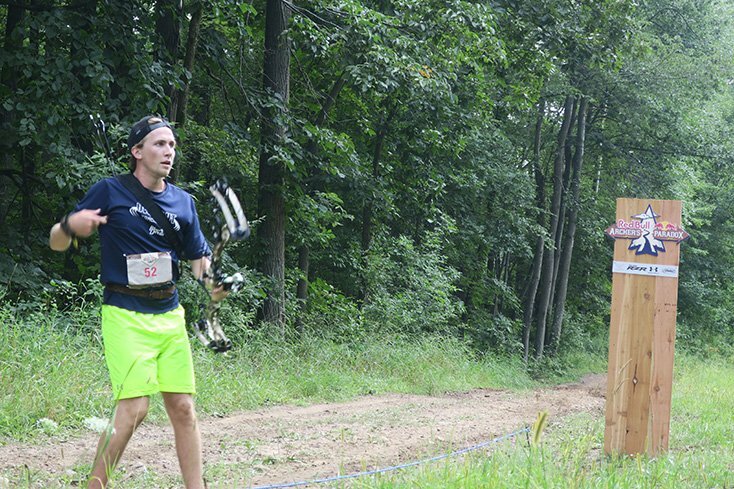 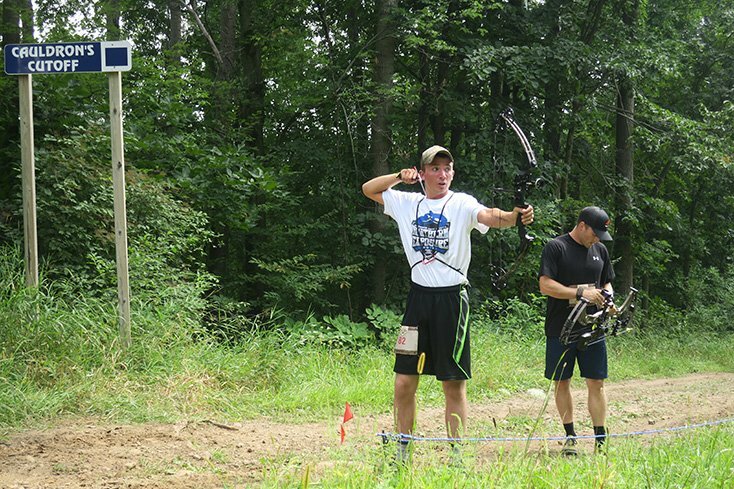 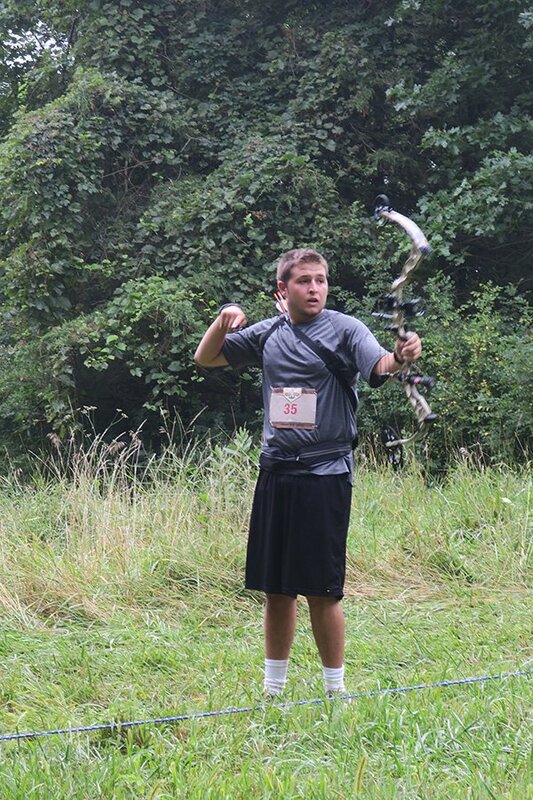 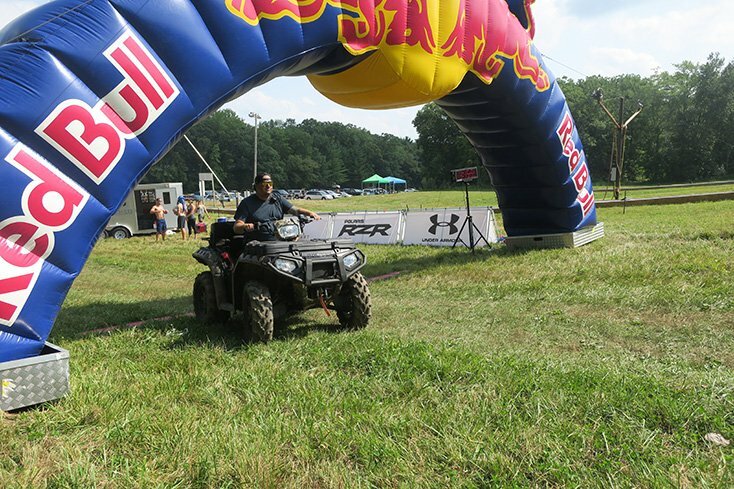 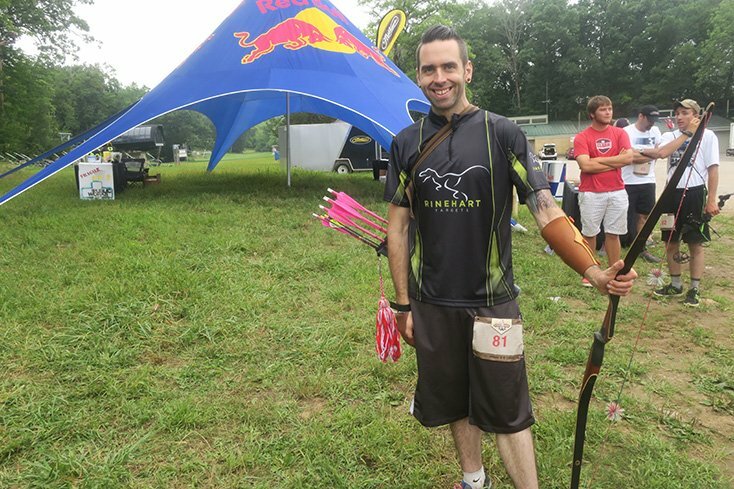 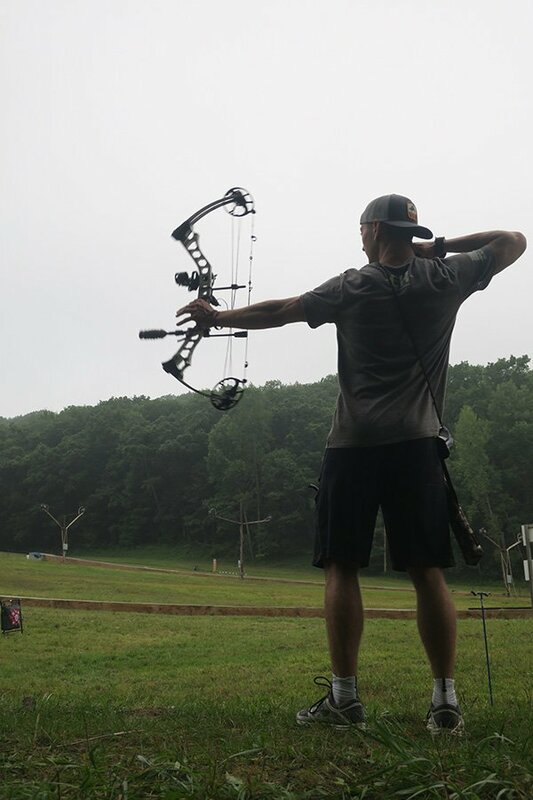 With a final time of 8:25:16, Devin took home first place during the finals of the 2018 Red Bull Archer’s Paradox. 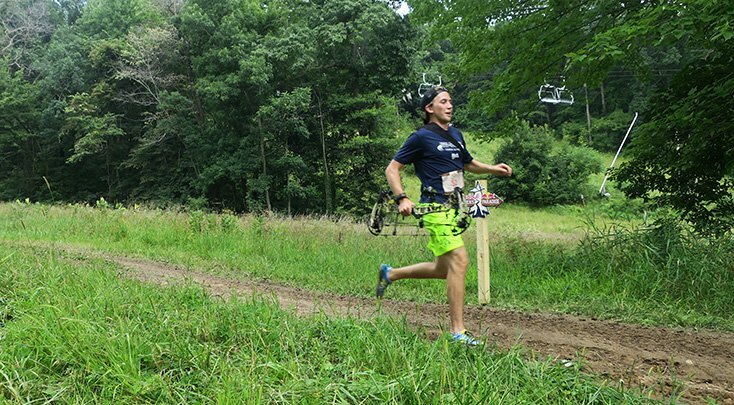 LeEarl Rugland gave Devin a good run for his money which placed him in in second place with a time of 8:33:39 and rounding out the podium in third place was Broc Bebout at 8:44:74. 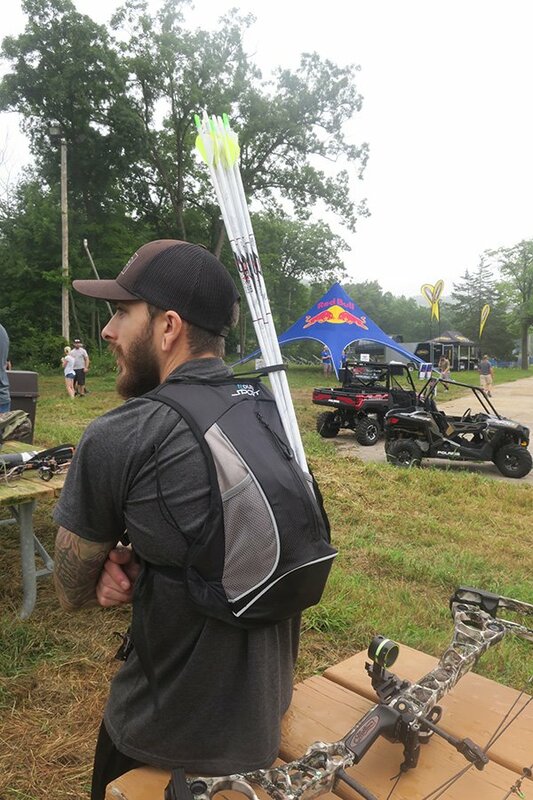 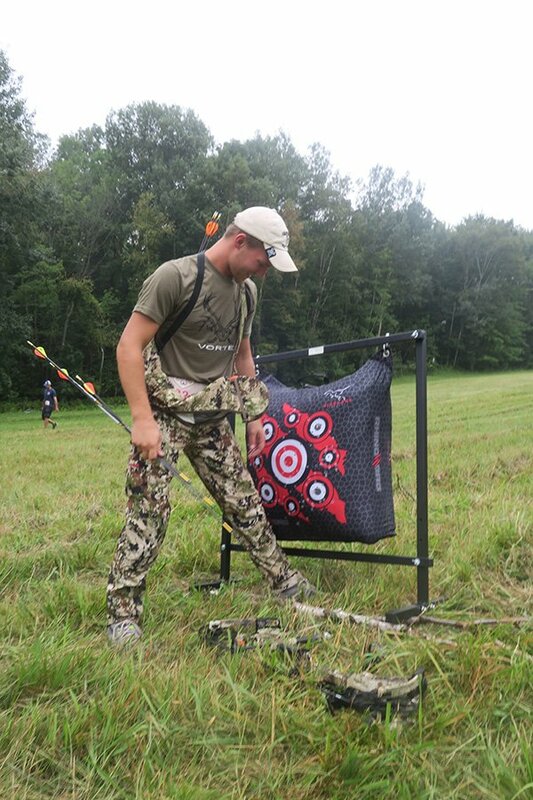 Devin took home $1,000 cash for 1st place, along with a bunch of other cool prizes from the sponsors including a Custom Triax Bow, Matthews Hat, Black HD6 Quiver, QAD Rest, 8” black stabilizer, 6” black stabilizer, Static sidebar and Limb Legs. 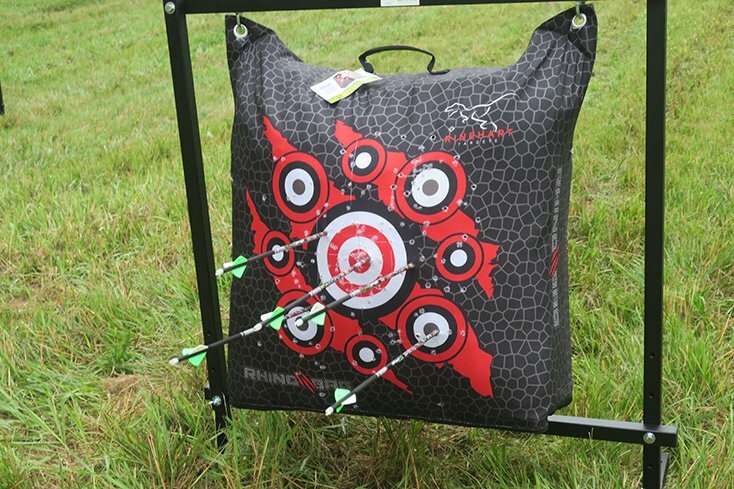 Full prizes shown below. 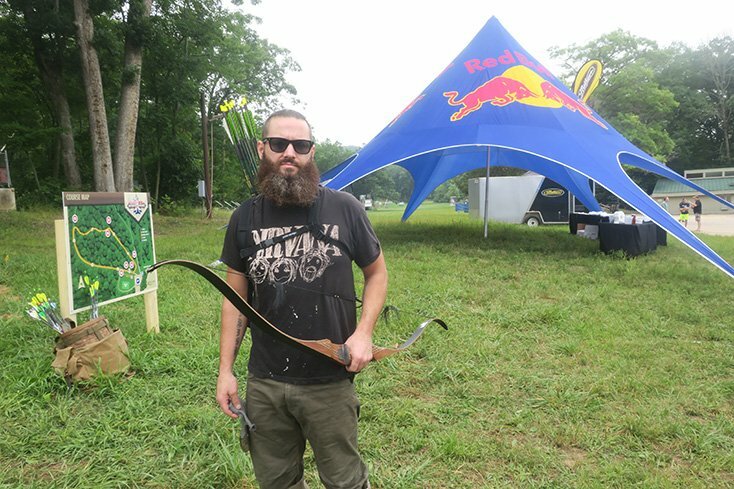 It is estimated bows were invented in Africa some 64,000 years ago. 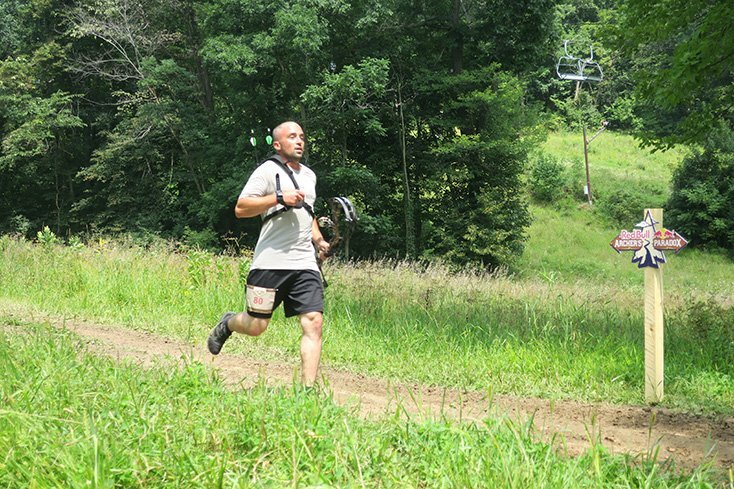 And the first recorded running race was held 776 BC, during the first Olympic Games in Greece. 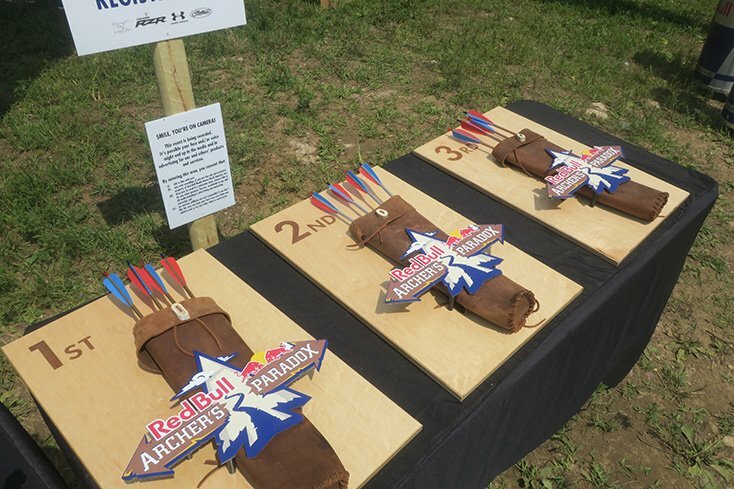 Both of these sports are steeped in tradition so leave it to Red Bull to come up with the idea of bringing these two activities together to form the Red Bull Archer’s Paradox.